We do not curently have theatre tickets available for Big Fish This could be because we have simply sold out or it could be that this show is no longer running. The information on this page remains purely for historical and informational purposes. What is it to really know your own father? 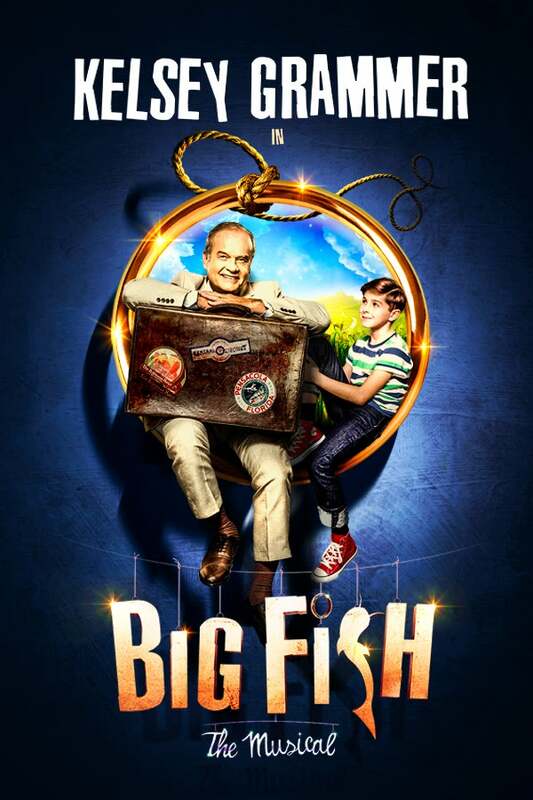 Meet Edward Bloom, played by Emmy, Tony and Golden Globe award-winner Kelsey Grammer. An ordinary man, and an extraordinary father. He has always told his son tall tales filled with beauty, love and imagination but when his son confronts him about what is truth and what is fiction, they go on a life-affirming journey that will change them forever. Adapted from the much-loved book and Tim Burton movie, this brand new musical is directed by Nigel Harman and is set to a beautiful score by Tony nominee Andrew Lippa (The Addams Family, The Wild Party), with a new book by John August (Charlie and the Chocolate Factory). Landing at The Other Palace for a strictly limited Christmas season and bursting with heart and humanity, Big Fish The Musical will leave you holding on to your family and friends just that little bit tighter.